I'm a big fan of this recording too. I picked it up out of intrigue more than anything else but I love most things about it. Nilsson/Solti was my first Salomé and I love it purely because of how over the top it is. I love Nilsson and agree that her final scene is incredibly exciting to listen to - the clip of her performing it at the Met (was it Bing's retirement gala or something?) is immense and to me gives an idea of just how big the voice was. I also have the Behrens/Karajan and the Jones/Bohm. It's been a long time since I listened to the Karajan but I enjoyed it. Interestingly, I recently listened to the Bohm for the first time in years too, and I did not enjoy Jones at all as much as I used to. I remember thinking before that she was a bit of a nice compromise between Nilsson and Behrens/Caballé but at times found her almost unpleasant too. Strange how your tastes change. 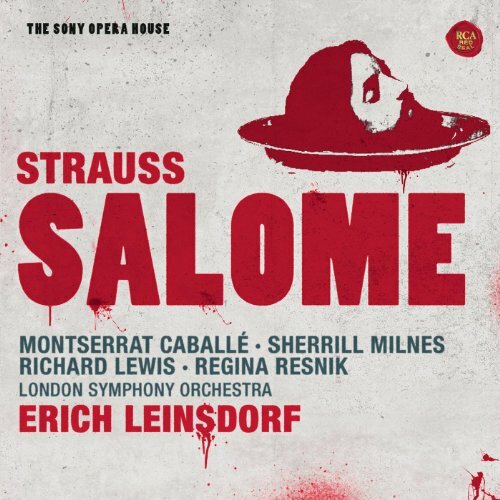 Nilsson/Solti was my first Salomé and I love it purely because of how over the top it is. In addition to the Sinopoli I mentioned earlier, the Karajan is one of my favorites - completely different from the Solti in every respect, and it's probably Behrens' best recording, before she took on all of those big Wagnerian roles. All times are GMT +1. The current date and time is Apr-25-2019 11:47.